Diana Weston (born 1955 in Toronto, Canada) is an English actress who has been on British television since 1975. Weston's first role was in a 1975 episode of Thriller, and parts in Raffles, The Sweeney, The Professionals, Agony, Shoestring and Bless Me Father soon followed. Since the late 1980s, she has appeared in The New Statesman, Boon, A Bit of a Do, About Face, Nightingales, The Upper Hand, Jonathan Creek, Casualty, Emmerdale, My Family and a main role in the 2000 sitcom Pay And Display. Diana Weston had a long relationship with the actor Robert Lindsay, and they had one daughter, Sydney (born 1988), who has also made television appearances. 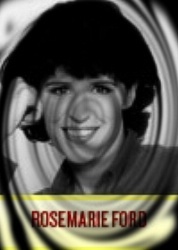 She and Lindsay separated after he started a relationship with actress/presenter Rosemarie Ford, although she continued to work with him on occasion.